Thinking about becoming a member of Lauren’s Playground? If so, you get access to this program, MIGHTY MUSCLE plus hundreds of hours of other programs, follow along videos, workouts and an incredible community. Join here to have this plus so much more. 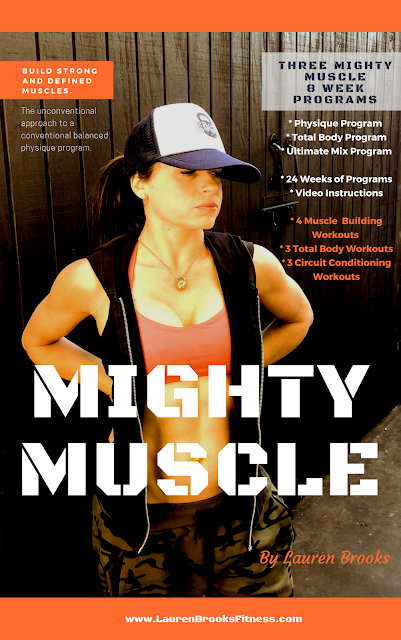 Time to put the MIGHTY in your MUSCLES with the MIGHTY MUSCLE program. Before we get started I have some good news and some bad news. Let’s get the bad news out of the way first. For those who suffer from choice trauma, you may have a bit of an issue. For the first time ever, I’m bringing you not one, not two, but three different programs to choose from. This could be viewed as a tough decision for those who can be indecisive, but never fear, I’ll help you out. The Physique Program is the first two month program I had the pleasure of designing out of the three. This is a more conventional approach to targeting each muscle group in a very balanced way. You will still be using mostly kettlebells, if you fancy them, but we will get down to the nitty gritty with really focusing on building dense strong muscle mass. For my new fitness friends who haven’t really experienced an “old school” approach to fitness, this might be something fun for you to put your body through. If you’re one of those weird people who actually enjoy feeling sore for several days after a session, this is the program for you. Now for the Ultimate Mix program, which is a taste of both worlds. The final 2 month program I created which is the all time balance of both of the programs stated above. If you’re torn between the two, blend it up in the best way possible with this Mix program. You’ll get to sample what it’s like to focus on a body part in one session, then the next session you may be going through an entire full body combo workout and then enjoy your heart pounding out of your chest in the next workout. If you want a little of each without committing to one focus, this would be a great program to begin or even end with after running through the other programs offered. Hopefully this clears the air and puts you on the best path. 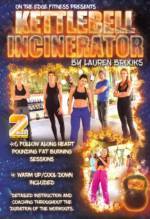 If you’re in Lauren’s Playground please share with us which program you plan on starting with. This is NOT a DVD and this is NOT a follow along workout video.